Nintendo had a lot to say in their Nintendo Direct today, revealing surprise new 3DS games as well as further details on upcoming games. REDMOND, Wash., April 17, 2013 – In a new Nintendo Direct video announcement today, Nintendo revealed another massive list of news for its Nintendo 3DS and Wii U systems. Topping the list for many gamers is an entirely new Nintendo 3DS game in The Legend of Zelda series set in the world of The Legend of Zelda: A Link to the Past. The game is scheduled to launch this holiday season. Fans will also be excited to hear that a new game in the Yoshi's Island series is also being developed for Nintendo 3DS. 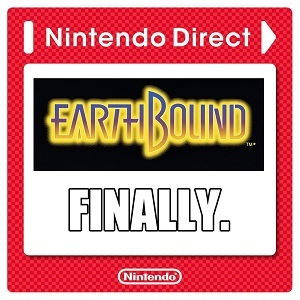 And, after 20 years, EarthBound is finally returning to North America. The game is scheduled to be released this year on the Virtual Console service for the Wii U home console. "Nintendo 3DS and Wii U continue to evolve into some of the best bets in gaming," said Nintendo of America President Reggie Fils-Aime. "We've had an incredible 2013 so far with titles such as Fire Emblem Awakening and Luigi's Mansion: Dark Moon, and the rest of 2013 and beyond is even better." • A New Game in The Legend of Zelda Series: Nintendo developers are working on a new game set in the world of The Legend of Zelda: A Link to the Past, which launched for Super NES in 1992. 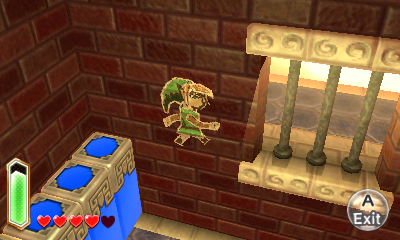 The game makes use of the 3D abilities of Nintendo 3DS, and allows Link to become a drawing and move along walls. A 3D video of the new game is now available to download in the Nintendo eShop for Nintendo 3DS. The game is scheduled to launch this holiday season. 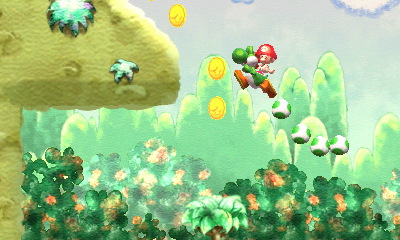 • Yoshi's Island: The third installment in the beloved franchise is making its way to Nintendo 3DS. Yoshi and Baby Mario are back with flutter jumps, ground pounds and egg throws, plus a host of new actions that use the unique features of Nintendo 3DS. More details about the game, as well as launch timing, will be announced in the future. • Mario & Luigi: Dream Team: The game takes place on a mysterious island, and challenges Mario to go between the real world and Luigi's dreams to rescue Princess Peach. The game will be available in stores and in the Nintendo eShop on Aug. 11. • Donkey Kong Country Returns 3D: This hand-held update of the smash-hit for Wii adds eight new stages that players can enjoy after they have completed the main game, as well as a New Mode optimized for hand-held play with new items and mechanics. The game launches in stores and in the Nintendo eShop on May 24. • Mario and Donkey Kong: Minis on the Move: This Nintendo eShop exclusive challenges players to place tiles on the bottom screen to guide the Mini Marios to their goal on the top screen. The game offers more than 180 stages in four different modes. Players can also create and share their own stages, and play those created by other players around the world. The game will launch on May 9. 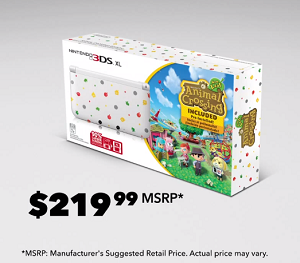 • Animal Crossing: New Leaf Hardware Bundle: A special Nintendo 3DS XL system featuring designs from Animal Crossing: New Leaf that comes pre-installed with the new game will be available on launch day, June 9, at a suggested retail price of $219.99. • Mario Golf: World Tour: Players who connect their Nintendo 3DS systems to the Internet can play competitive real-time multiplayer matches against others across the globe. They can also use the community feature to find others to golf with. The game is scheduled to launch this summer. 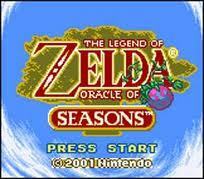 • The Legend of Zelda – Two Classic Games: The Legend of Zelda: Oracle of Ages and The Legend of Zelda: Oracle of Seasons will soon be available for the first time since their original release on Game Boy Color in 2001. Originally developed by Capcom, the games are headed to the Virtual Console service for Nintendo 3DS. The games are interconnected: Playing one unlocks secrets in the other. The games are scheduled to launch in the Nintendo eShop on May 30. • Party Like it's the Year of Luigi: A new game in the Mario Party series is scheduled to launch for Nintendo 3DS this winter. The game features seven different game boards, each with its own set of rules. The game offers 81 new mini-games that test speed, concentration and luck. In addition to the board game elements, players will be able to play mini-games exclusively or try their hands at a 30-floor tower climb, AR Card games and StreetPass battles. 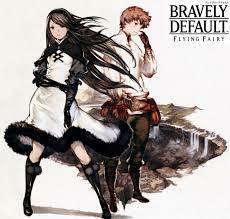 • Bravely Default: This role-playing game from Square Enix adds a new risk-reward twist to the genre: Players can skip a turn in battle to do more damage in later turns. 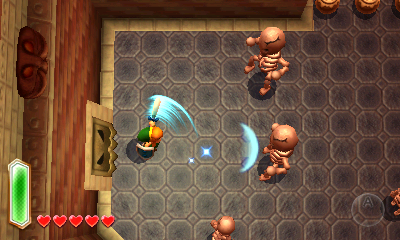 The game includes AR functions, multiple endings and unique wireless features. Nintendo has partnered with Square Enix to publish the game in North America in 2014. • Professor Layton is Back: The third game in the second Professor Layton trilogy, Professor Layton and the Azran Legacy, includes more than 500 puzzles and is scheduled for a 2014 launch. • A Nintendo eShop Trio from LEVEL-5: LEVEL-5 has assembled a collection of Japan's top developers to create original games that will be headed to the Nintendo eShop for Nintendo 3DS soon. THE STARSHIP DAMREY, from Kazuya Asano and Takemaru Abiko, puts players in a suspenseful adventure where they will have to search for any information available to discover the truth about their circumstances. In BUGS vs. TANKS! from Mega Man creator Keiji Inafune, players control a tiny customizable tank in battle against swarms of giant bugs. In Kaz Ayabe's ATTACK OF THE FRIDAY MONSTERS! A TOKYO TALE, players will take the role of a young boy who lives where the giant monsters from Japan's 1970s TV shows come to life every Friday. • Shin Megami Tensei 4: When this game launches on July 16 from ATLUS, every copy in the initial shipment will be a Limited Edition Box Set that includes a 176-page Strategy & Design Book containing the official starter strategy guide and full-color artwork ranging from concept art to in-game pieces to never-used designs; the Shin Megami Tensei Music Collection CD that offers tracks specially selected from across the 20-plus-year history of the SMT series; and a deluxe-sized Collectible Slipcase featuring key art designed by character designer Masayuki Doi. • You Are Not Dreaming – This is Real: Nintendo fans rejoice: EarthBound is coming to the Wii U Virtual Console this year. The original game was created by Shigesato Itoi and released on Super NES in 1995. • New Super Luigi U: Wii U owners who purchase this downloadable content for New Super Mario Bros. U (a copy of the game is required) will get 82 updated stages and a new adventure featuring Luigi, who can jump higher than Mario, yet has trouble stopping after a dash. Many stages start with only 100 seconds on the timer, and quicker stages are populated with many obstacles. New Super Luigi U is scheduled to be released this summer during the Year of Luigi. • System Update: Next week's update will add new functions and enhance existing ones. It shortens loading times when switching between applications or returning to the Wii U Menu. • New Features: Shortly after the system update, Nintendo will launch the Virtual Console service and Wii U Panorama View. • Game & Wario: Each game in Game & Wario uses the Wii U GamePad in a unique way. 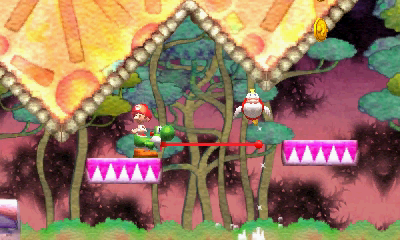 Game & Wario will be available in stores and the Nintendo eShop on June 23. • Pikmin 3: In addition to new Rock Pikmin, the new game also introduces flying Winged Pikmin that follow the player and can carry items in the air. The game launches in stores and in the Nintendo eShop on Aug. 4. • Monster Hunter 3 Ultimate Update: A game update for the Wii U version of Monster Hunter 3 Ultimate from Capcom is now available for download. The update enables off-TV play using the Wii U GamePad, and allows players from North America and Europe to join each other's online games. 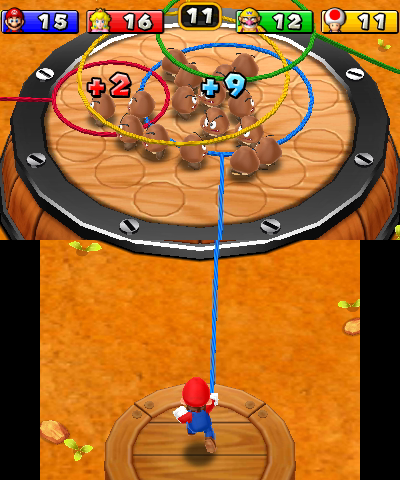 A selection of videos introducing players to the game's game-play mechanics can be found at http://www.YouTube.com/Nintendo. Just so much good news. I haven't been keeping up with gaming news much lately, and then I log on today and see all this goodness. This is a bad, bad time to be broke. EARTHBOUND!!! Can't get over that. Smiling so hard it hurts! Looks like I'll finally be playing Earthbound for the first time! I honestly can't process these Nintendo Directs sometimes. So much unlikely stuff happens at once. Prognostication: It's a Jargon Thing. I'm seeing a lot of 3DS and eShop stuff, but where are the Wii U games? Pikmin 3 and.....??? Doesn't look like they have much to show before E3. Reggie says the games are coming, but man, this is not good. This is like the GameCube all over again. A good launch followed by a drought. Thankfully, the Wii U didn't have a competing system launching at exactly the same time like the GameCube did with the Xbox or this could be really bad. The GameCube never recovered from that drought even though 2002 ended up being a great year for the system. One of its best actually. So...much...awesomeness!!!! This year is going to be awesome and we don't even know what's coming for the Wii U!!! This has got to be the best comment on this thread! I've always wanted to play mother3 (why did Nintendo never bring it here again?) and I might use that fan translation. Gotta wonder if Earthbound sells gangbusters if it won't open Nintendo's eyes to the idea of bringing Mother 3 to the eShop. Just sayin. I realllllly want that to be the case. @Jargon@kriswright@Shadowlink What the fudge is going on here?! If you were in chat during the ND instead of being your usual poser self, you'd know. Now you have to suffer in ignorance instead. To my knowledge there are many trademark ussues preventing the release of the game here. Of course as a consumer I would say Nintendo should just change it (remove all trademark references and props) although I know it may actually be more complicated than that since some of those references may play a key role in the game. Meh, perhaps I will play it if they do port it. If not I'll just sit back and play other games (on other consoles).